Top animal Reiki educator Kathleen Prasad, author of the recently published Reiki for Dogs and co-author of Animal Reiki: Using Reiki to Heal the Animalsin Your Life, will be a keynote speaker at The Conference on ComplementaryAnimal Healing, to be held at The Holiday Inn in Boxborough, Massachusetts on November 11-12, 2012. The inaugural event is sponsored by AnimalTranslations. A resident of San Rafael, CA, Ms. Prasad regularly teaches animal reiki classes at the nearby BrightHaven Healing Arts Center for Animals, a nonprofit, holistic animal retreat. 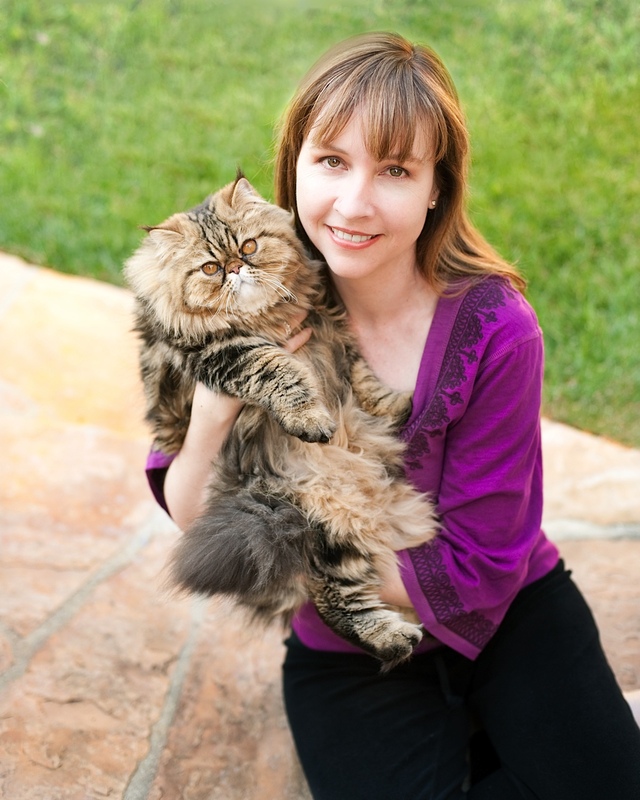 Her work has been featured in a variety of national publications, including Animal Wellness, Dog Fancy, Dogs Naturally, Equine Wellness, Natural Horse Talk, The Journal of the American Holistic Veterinary Association, and The Whole Dog Journal. On Sunday, November 11, Kathleen will open the Conference with a presentation entitled, “Honoring the Wisdom of Dogs and Cats,” and later that day, she will lead a healing meditation on “Practicing Peace with Your Animals.” Kathleen will open the proceedings again on Monday, November 12, when she’ll discuss how Reiki can help and heal horses. Kathleen will participate in a free “sneak preview” call to discuss her upcoming Conference appearance on Tuesday, October 16 at 8:00pm (EDT). Anyone can participate by dialing 712-432-0180 and entering code #1063739. In addition to Kathleen Prasad, The Conference on Complementary Animal Healing will also feature Denise Bean-Raymond, author of The Illustrated Guide to Holistic Care for Horses; Shirley Moore, founder of Save A Dog and co-author of A Healer in Every Home: Dog and Cat Edition; NanMartin, an expert in the use of essential oils with animals; Ginger Krantz, an energy healer who works with horses; Dr. Randy Caviness of the IntegrativeAnimal Health Center; and Sally Morgan, a canine and equine physical therapist. Conference participants may register for one day ($159) or both days ($298). For more information, visit the Conference website.